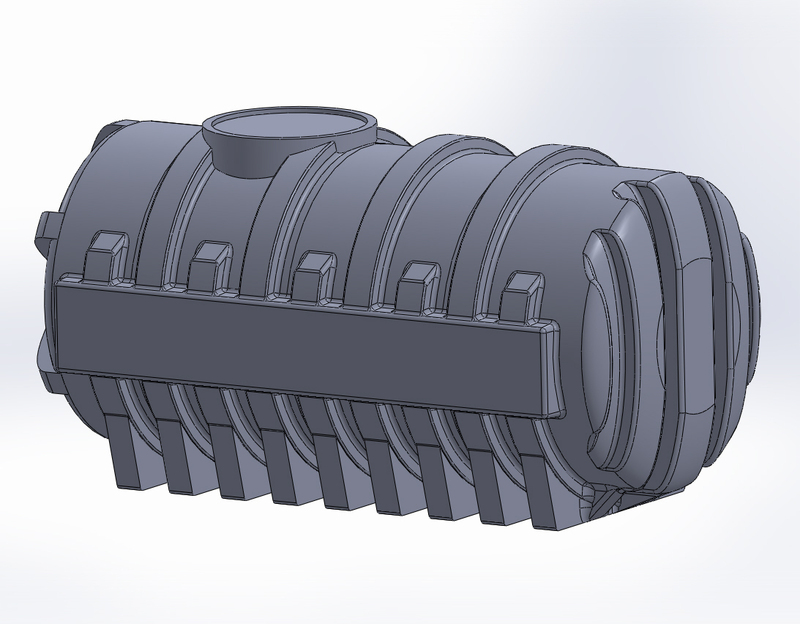 A company making moulded tanks wanted a new model for domestic rainwater harvesting. This would normally be buried, without being encased in concrete. The greatest loads occur when the tank is empty and pressure from the ground and ground water try to crush it. The problem was to design a tank using a minimum amount of material. 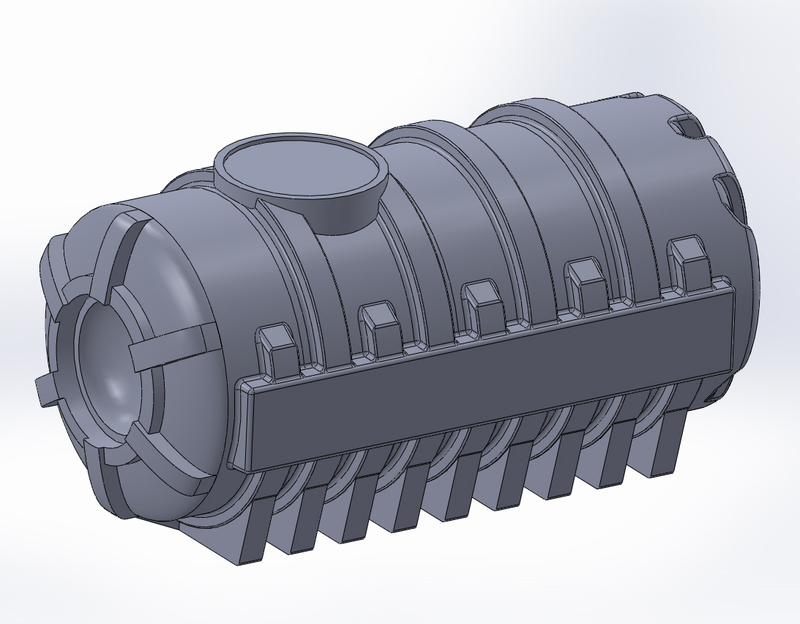 As the tank would be rotationally moulded in HDPE, the amount of material going into the mould cavity directly affected the cost. We first built a spreadsheet model based on the design codes BS EN 12566-3, BS EN 12573, BS EN 1778 and BS4994. This helped us to find the optimum number and size of rings to minimise the thickness while resisting the loads. Adding rings allows the thickness to be reduced, but as the weight of the panels reduces, the total weight of the rings increases. 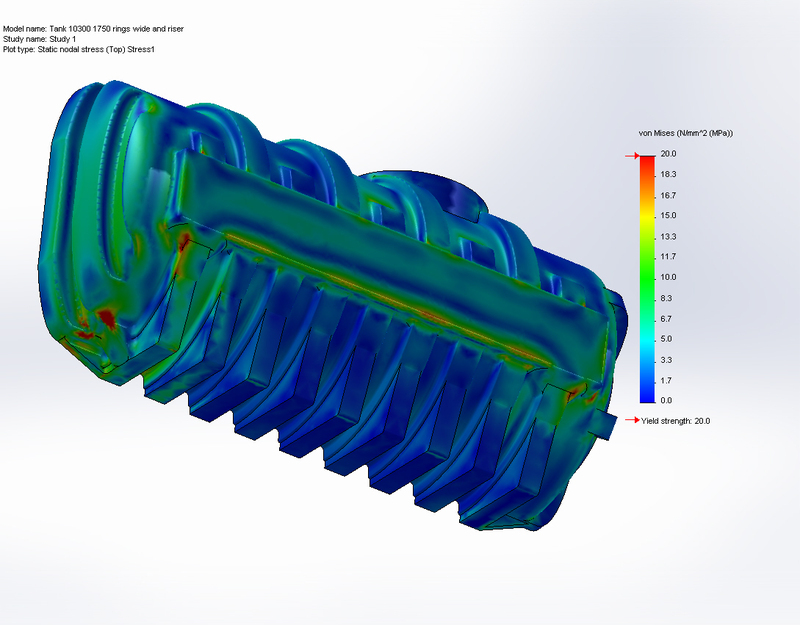 After finding the optimum outline design, we built an FEA model to study the stresses in complicated areas. The tank was to be anchored to a base only on its end feet, which introduced a bending load. We added a side beam to resist the bending and a convex dome at one end, which can be cut away to introduce the customer’s hatch. 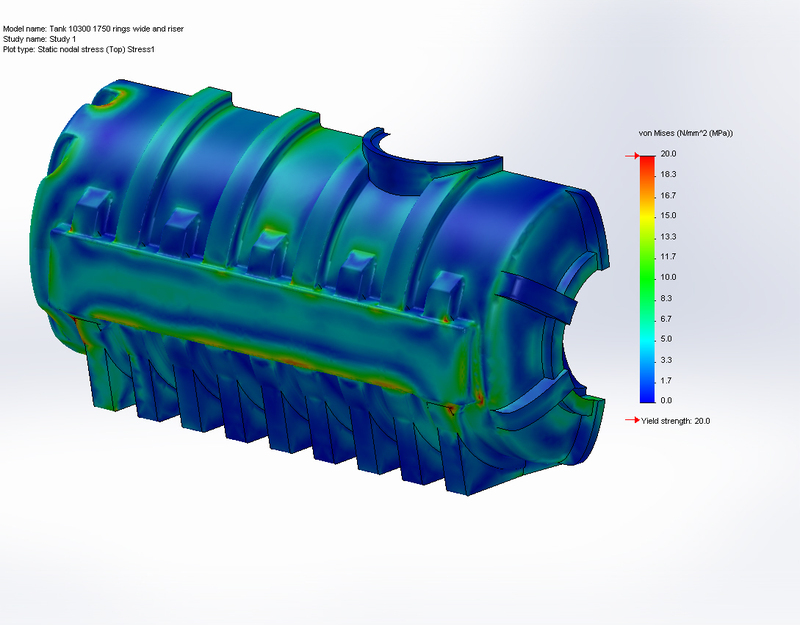 The final design complied with BS EN 12573 and DVS 2205, but we advised the customer that a little more FEA was required in some local areas, to reduce some stress concentrations. UK mechanical engineering design analysis service applied to the mechanical design of a buried HDPE tank.